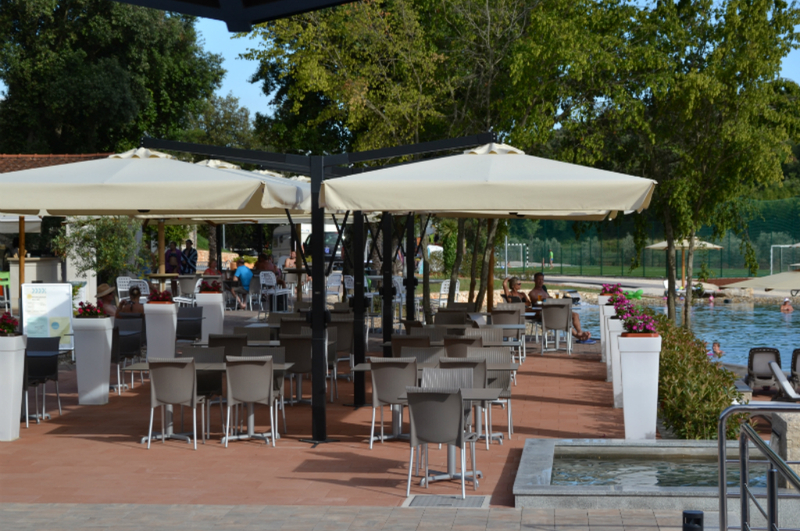 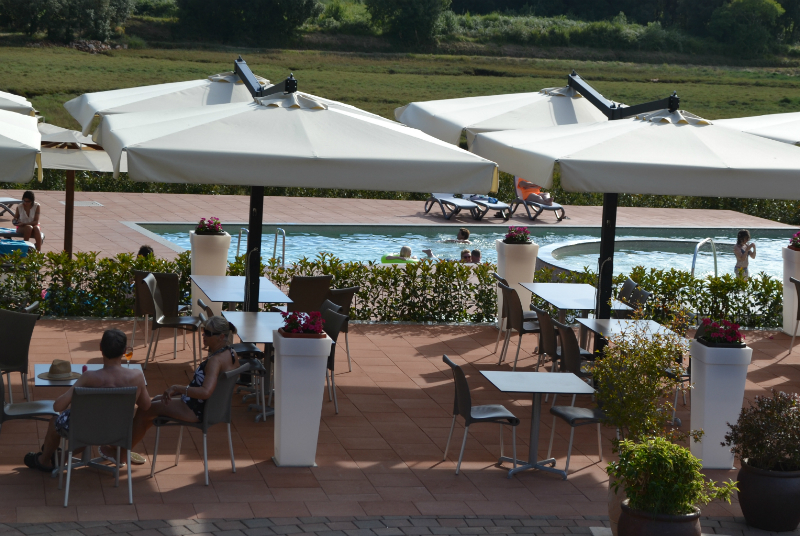 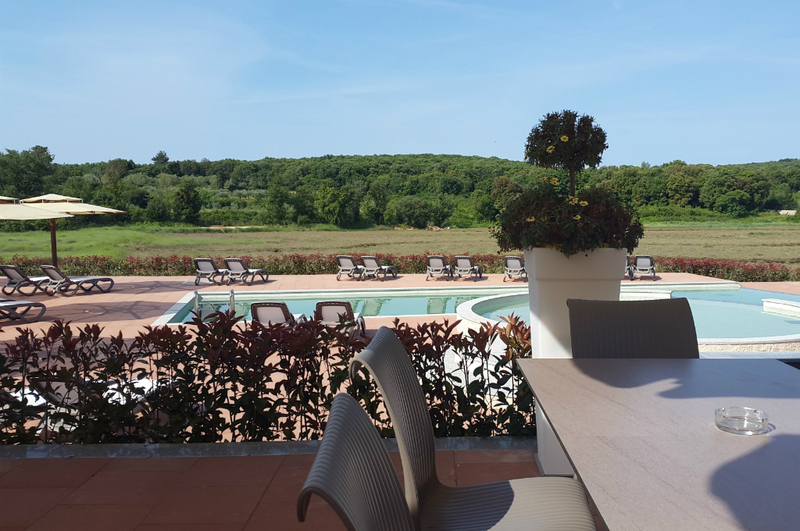 Here you can enjoy a pleasant atmosphere in the morning, during the day or in the evening, while relaxing in the terrace shade or under a parasol comfortably lying on a sun lounger by the pool/lagoon. 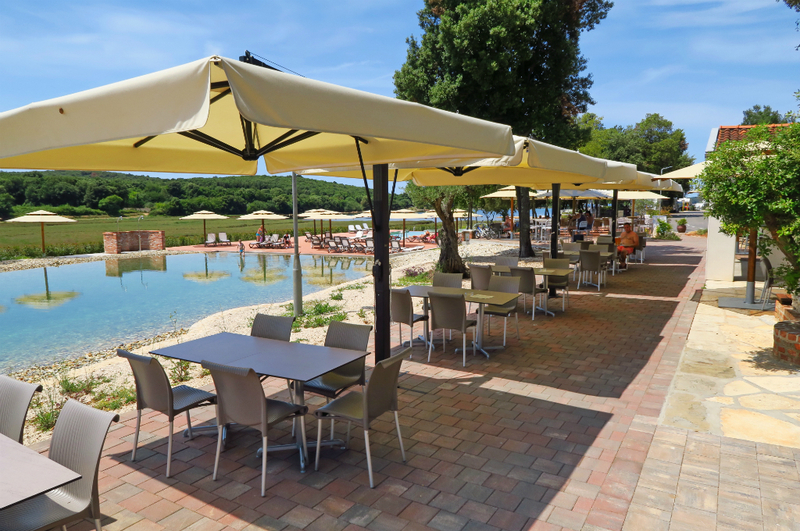 Located next to the natural pool/lagoon filled with the healing sea water from the Val Saline bay, it is an ideal place for relaxation with a cup of coffee or tea in the morning or during the day while looking for refreshment, as well as in the evening when you want to relax after an activity-packed day in the Val Saline campsite. 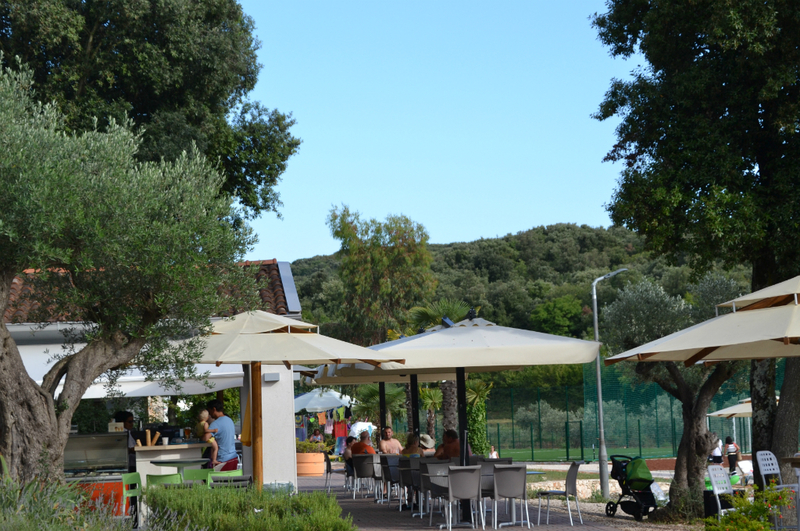 Beach Bar will provide you with a rich offer of food and drinks matching the quality of service, ambience, flavours, scents and experiences of our campsite.